Prof Devashish Das Gupta joined IIM Lucknow in 2004 in the Marketing Area. Before joining IIML he was with Nirma Institute of Management (Now Nirma University) Ahmedabad for five years. His PhD thesis has been published by VDM Verlag Dr. Muller Aktiengesellschaft & Co. KG Saarbrucken, Germany. Prior to completing his PhD, he worked with Grasim Industries Ltd, Textiles Division, Gwalior as Area Sales Manager for two years, wherein, he executed assignments in retail network development, and brand management. Beside teaching and Research he has served IIM Lucknow as Chairman Alumni Affairs, and Chairman International Linkages and Financial Aid. Besides this he was also the member of five-person core committee which established the academic programmes in Noida Campus of IIM Lucknow. 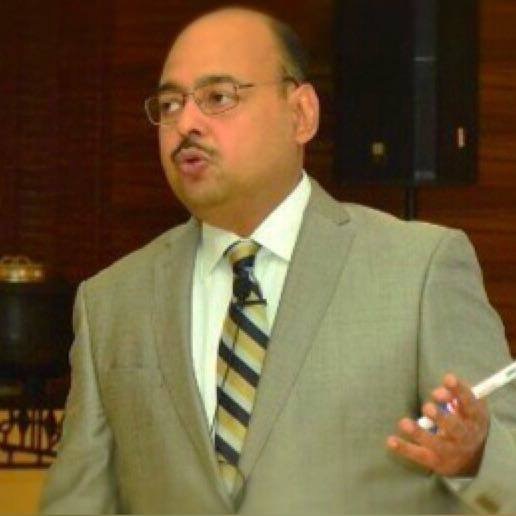 He has attended Faculty Development Programmes at Harvard Business School, Boston, NIESBUD, N. Delhi, and IIT Rookee. He has also undergone the self-development programme of Landmark Forum, USA. Retailing in India and the Role of the Marketing Mix’. (2007) Published in Issue 53 of the European Retail Digest, Oxford Institute of Retail Management, Oxford Univ, UK. Navigator Project on Responsible Lending (India Edition) (2017-18) Navigator India study on Responsible Lending is a broad spectrum study in the area of consumer finance done for the first time in India. Designing of Strategy for Revival of Milk Unions in UP. In this project studied the market scenario of PCDF and designed an exhaustive marketing strategy for Parag. (2012-13). Based on the report UP Govt has agreed to come out with plants for new products worth 1400 crores. Evaluation of Effectiveness Of BRCs And CRCs In Providing Academic Support And Supervision To Elementary Schools. (2007-08).